Kids eat vegetables less often than they should and as a parent you are wondering if there is anything you can do to make them bite. 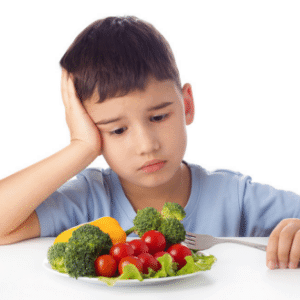 Could be you have tried everything possible to make them eat, but you are not succeeding and could be you are wondering if there are any useful tricks you can use to make your kids eat vegetables. You are not alone, I have had a similar experience with my kids, and it was so frustrating. Getting my kids to eat vegetables was not easy. My older son often tried, but my younger one was very picky. He would use every trick or give every excuse to avoid vegetables, sometimes I would even force him to eat, but it did not work. My husband and I discovered and tried these 12 useful tricks to get our kids to eat vegetables, and they worked. Try experimenting with them, and you will be able to get your child into the habit of eating vegetables. Plants are full of nutrients which can help prevent lifestyle complications like weight gain. Eating vegetables is a key to good health. 1. Start early when the kids are still young. Introducing vegetables to your child when they are still young is key to getting kids to eat vegetables. It is much more comfortable to make them eat vegetables when they are young. They become used to the taste and texture of different vegetables when they start eating solid food than when they get older. It may be harder to get your child to eat vegetables when they are older than when they are still young. Develop the habit of eating vegetables when they are still young. 2. 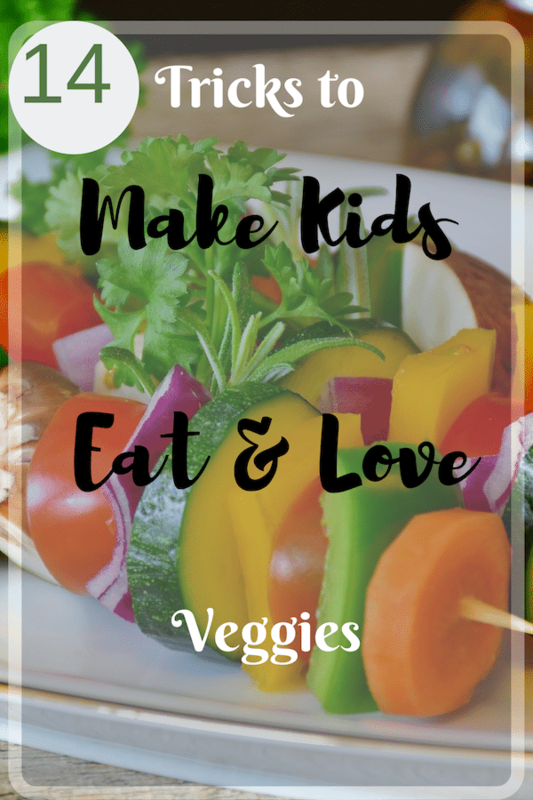 Be a role model to make kids eat veggies. Healthy eating habits should start with you as a parent. Your attitude towards vegetables should be a positive and encouraging one. Your children learn from and imitate you; therefore don’t expect them to get to eat vegetables when you don’t eat them either. Your positive influence will inspire your kids to follow through. 3. Involve your child in the selection and preparation. Research has shown that kids who are involved in the preparation of food eat better than those who are not. Let your children pick the vegetables from the garden or take them shopping with you and help them make choices. Let them help you clean, cook and even serve the vegetables whenever they can. You will be surprised at how much they will enjoy eating the veggies they have prepared. 4. Blend the vegetables in other foods to get the kids to eat them. To get kids to eat vegetables, try to come up with recipes packed with vegetables hidden in them. You can as well disguise the vegetables inside your kid’s favorite meals. You can add them in their purees, soups or fries. Feeding them entrees enhanced with greens can increase their appetite. 5. Start with smaller servings when introducing new vegetables. Children should be allowed to choose how much food they eat. Don’t serve large portions and force them to finish. Observe their reaction and ask for their opinion about the new vegetable. You will be able to know their preference or the best way to prepare it for them to enjoy. Don’t give up when your child refuses to eat the new food; keep trying, some children need some vegetables served to them many times before they eat it. 6. Buy fewer or cut off snacks. Reduce or face out unhealthy snacks from your child’s meals so that your child can begin to make healthy choices and develop better eating habits. It is essential to discourage snacking on junk before meals but instead, give more vegetables and fruits. Try a variety of fruit and vegetable smoothies, veggie pops or vegetable chips for snacks. 7. Don’t force or bribe your child into eating or finishing. Promising a snack or a dessert to get your child to eat vegetables makes a child feel that plants are less valuable. The best tick to get them to eat vegetables is to encourage them by emphasizing the fantastic health benefits of vegetables. I got my sons into eating greens when I told them that vegetables would protect them from getting sick and visiting the doctor for treatment often, since then they ask for vegetable salads frequently. 8. Identify the vegetables they like most and give it frequently. Getting to know your children’s favorite vegetable will get them to eat more. Prepare the ones they like frequently, and your kids will eat the veggies. You can as well blend it with other vegetables/foods to avoid monotony. I make vegetable salads more regularly because my sons like them. 9. Serve the vegetables Attractively. Make meals attractive and appealing. Serving vegetables in colorful and beautiful plates can motivate your child to eat more. Make the vegetable colorful too; don’t just help them green salads in the same boring dishes every day. Adding other flavorful foods like potatoes, cauliflower or carrots to the green salad will make it appealing to eat. 10. Vary the cooking and serving method. In addition to attractively serving them, vary the cooking style and texture of the vegetables. The way you cut and prepare food can motivate or discourage your child from eating it. Try to experiment with different textures, flavors and smells to identify what your children enjoy eating. Could be your child is tired of eating steamed broccoli every time, why not try grilling or frying them next time. These can work well with picky eaters. The secret is to serve vegetables before other foods when the kids are hungry to make them eat vegetables. Whenever my older son comes from school, he is hungry and is willing to eat anything edible in the house. This is the time when I give him my baked vegetable chips, and he eats them well. Children are good at probing their parents’ weakness; they are always looking for an opportunity to manipulate you into getting what they want. To get the kids to eat vegetables, you have to be consistent with preparing and giving them healthy meals. If you set in inconsistency, it will be tough for your child to get into the habit of eating healthy. Let your children have fun when preparing and handling vegetables. Let them apply their creativity when cutting or serving meals. Allow them to make funny faces and decorative shapes on other foods like baked items using plants. My kids would sing this silly veggie tale about the benefits of vegetables as we cut funny shapes on cucumbers or celery whenever we are preparing vegetables and its fun. 14. Complement your child’s efforts. In your compliments, try to emphasize your child’s efforts and not just the outcome — children like being praised for the little efforts they make. Try these useful tricks and let me know how they are working for you in the comments below.